The six part series can be found here. The dates are March 3rd through March 8th. Greg Koukl of Stand to Reason sat down with Nabeel Qureshi last Tuesday to discuss his book Seeking Allah, Finding Jesus which chronicles his spiritual journey. You can listen to this interview here if interested in hearing more about his conversion. It is an amazing, uplifting, and yet challenging account. This short video explains Alvin Plantinga's "free will defense" offered in response to the problem of evil. "If the bones of Jesus were found tomorrow, would you walk away from Christianity? You should. Why? Because faith in a dead Jesus is worthless. Even the Apostle Paul says so. In I Corinthians 15:14, he writes, "If Christ has not been raised, our preaching is useless and so is your faith." Did you catch that? The bones of Jesus would make our faith useless. C'mon Paul, isn't that kind of harsh? No and here's why. Imagine a group of people who have dedicated their lives to Peter Pan. They construct a beautiful building to gather in celebration of Pan's life. They sing songs to him and tell stories about his wonderful deeds. What would you think about such a group? What a waste of life. Peter Pan is a fairy tale. We should feel sorry for such people. Well, if Jesus did not rise bodily from the grave, then Christianity is a fairy tale. Just like Peter Pan, it's make believe and Christians are wasting their lives. And what should people think about us? Paul concludes that if Christ hasn't been raised, "we are to be pitied more than all men" (verse 19). So, when it comes to the resurrection of Jesus, what's at stake for Christians? Everything." So, do we have good historical reasons to believe Jesus rose from the dead? Find out here. Further, if you are looking for an apologetics speaker to invite to your church I highly recommend the Stand to Reason crew. They are outstanding! In this short video, philosopher Vince Vitale, who teaches philosophy at Wycliffe Hall, University of Oxford, examines the current state of philosophical scholarship in regard to God. You can also pre-order Vince Vitale's forthcoming book on suffering (co-authored with Ravi Zacharias) here. 1. Greg Koukl, Tactics, p. 38. In this featured article, cold-case homicide detective, apologist and author J. Warner Wallace examines the late non-canonical documents falsely attributed to the Apostle Thomas. Why aren't these documents considered reliable? Do they tell us anything of worth about the historical Jesus? How do they differ from the reliable accounts? You can sign-up for Jim's daily email here. Finally, you can order a great book on the so-called "missing gospels" here. 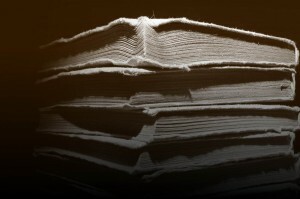 How We Got the Bible: "My Words Will Not Pass Away"
Much of the uniqueness of the Bible rests on its unique claims. Permitting it to speak for itself, the Bible claims to be from God. This claim comes from honest, straight-thinking men and deserves consideration. The claim does not authenticate the truthfulness of the claim, but the contents of the Bible, with its theme of salvation and its strong moral fiber, support it. Jesus’ ethical principles, for example, are either human or divine. The Bible says that they are divine. The claims of the Bible plus the contents of the Bible equal a convincing case for the Bible as the inspired Word of God. Many of the great classical writings are transmitted to the present day by no more than a handful of manuscripts. This being true, and since no one really questions the textual foundations of the classics, why should a mist of doubt prevail over the Bible text? If any book from ancient times has descended to us without substantial loss or alteration, it is the Bible. The fact is that the vast majority of writings from ancient times have been preserved on late-date manuscripts. By contrast, our New Testament text rests on manuscripts that are very near to the date of their original composition. The text of the New Testament, as compared with other ancient books, hold a unique and enviable rank. We now bring to a close our study of how we got the Bible. It is a remarkable story, far reaching in scope, extending to both Old and New Testaments, to the manuscripts that lie behind them, and to the translations that have been made from them. Ours is the privilege to study this remarkable story. It is the history of the most important book in the world. For those who have passed it on from generation to generation, for the legacy of their undying devotion, we owe an incalculable debt. “Every word that proceeds from the mouth of God” is important (cf. Matt. 4:4). This is why we study about it, and why this book is written. In the end, it is comforting and reassuring to know that Jesus’ words will not pass away. This promise has been tested by centuries and has not failed. “The grass withers, and the flower falls, but the word of the Lord abides forever” (1 Peter 1:24-25). If you have been following along as I read through this book and posted highlights I appreciate your devotion and I hope it has been enjoyable and helpful. And if it has made you consider reading the book I encourage that consideration. 1. Lightfoot provides a number of around 5,300 New Testament manuscripts. An updated number is 5,795 manuscripts according to this article. Updated numbers for other ancient works are found within this article as well. Lightfoot provides a number around14,700 for the Old Testament manuscripts as a conservative estimate. CARM puts the number over 10,000. His final hours were spent in prayer. Yet, the gospel of Luke tells us that there was nothing unusual about him being in prayer. "And he came out and proceeded as was his custom to the Mount of Olives...and when he arrived at the place...he withdrew from them...and knelt down and began to pray" (22:39-41). As was his custom, he would go to pray. We do not often hear the content of these prayer times, but in this case, in these final hours, we see him gripped with passion. Luke tells us that he was in such agony that his sweat "became like drops of blood." Medical science tells us that under extreme conditions of duress, capillaries in the head burst forth drops of blood literally pouring out of the skin like perspiration. Whatever the case, Jesus had never been in this much distress before—even in his wilderness testing—we have no other portrait of such extreme anguish in prayer. "And being in agony he was praying very fervently," writes Luke. I've often wondered about the nature of these agonized prayers. Was Jesus in agony over the physical torture and death he was about to endure? Was he in agony over the spiritual condition of his disciples, one who would betray him and the others who would all abandon him in his time of need? Certainly, the latter is a real possibility as he exhorts his disciples at least two times to "watch and pray that you might not enter into temptation" (Luke 22:40; 46). Whatever the reason for his agony, Jesus's humanity was on full display in his prayer. He did not want to walk the path that was unfolding before him, and he pleads with God to provide an alternative path, a "plan B" as it were. Matthew’s gospel reveals more of his struggle. He tells his disciples "I am deeply grieved, to the point of death." Then he prays to his Father, "If it is possible, let this cup pass from me; yet not as I will, but your will be done" (Matthew 26:38-39). The via dolorosa, the way of suffering, unfolded before him and he would go to his death, despite his anguished prayers for another way. I am always thankful then, for this very human portrait of Jesus's own agonizing struggle with his own suffering. For I know he shares my own struggle. And while I often reluctantly say to God, "Not my will but yours be done," I remember that God transforms the evil of suffering and affliction perpetrated against Jesus. God takes the very death of Jesus, and brings about resurrection. In my own prayers during this season that remembers Jesus's own cry for intervention, I bow my head and my heart to the king who reigns not from a throne, but from the cross. Margaret Manning is a member of the writing and speaking team at Ravi Zacharias International Ministries in Seattle, Washington. (1) Kimberly Dunnam Reisman, Following At a Distance (Nashville: Abingdon Press, 2005), 75. To learn more about Ravi Zacharias International Ministries, go here. 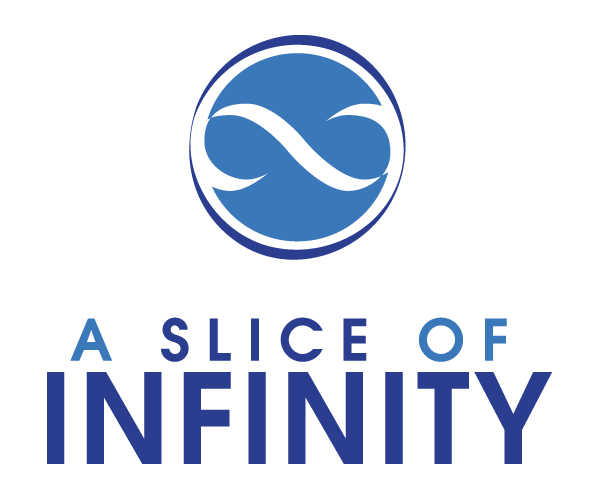 To receive A Slice of Infinity in your daily email, go here. 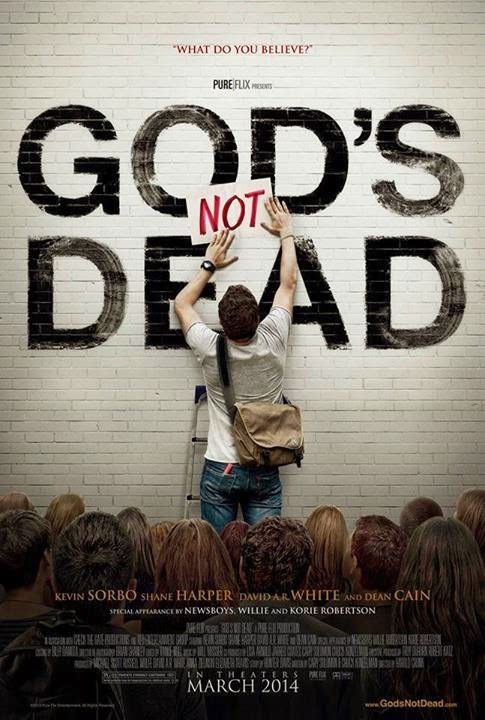 I just got back from a 10:30 pm showing at a local theater of Pureflix's latest film "God's Not Dead." For those unfamiliar with the film and it's main premise, I recommend going here and watching the trailer before reading further. Below are some of the questions I had going into the movie and I suspect readers have some of the same questions so I will share them along with the answers. I do not intend to include any spoilers and my thoughts will be brief because it's late! What positive arguments for God's existence will be presented in the film? The cosmological argument, the moral argument and the Cambrian explosion all make an appearance. Obviously, for theatrical purposes, the arguments are condensed but understandable. I could easily imagine someone's curiosity being sparked by the movie and, as a result, wanting to look into the arguments more thoroughly. Further, I appreciated the film interacting with the works of contemporary skeptics such as Richard Dawkins and Stephen Hawking. Other names mentioned in the film of note were Bertrand Russell, John Lennox and Steven Weinberg. What objections to God's existence will be addressed? It is stated in the movie that the existence of evil and suffering are the most powerful objections to God's existence. The film's response is both through argument and narrative. First, in one of the presentations given by the main character (there are 3 total), the free will defense is offered. Second, a few of the film's story lines demonstrate how God can work even through suffering. There is also a very good answer offered to the classic school boy objection, "Who created God?" It is also argued that evolution explains very little and even if true would not call God's existence into question. Will I be able to bring a skeptic to this film? This film has much potential to start some great conversations with unbelievers. However, it should be noted that the film is unapologetically Christian. The believers in the film are sold out for Christ and pray, talk of the Holy Spirit and attend a worship concert. How will the acting be? I felt the acting was believable and was most impressed with Kevin Sorbo's effort. As the atheist college professor he offered arguments that I have heard come over the lips of Christopher Hitchens and Richard Dawkins. He refers to God as a "supreme celestial dictator" and refers to religion as a "mind virus." The appearances by Willie Robertson and his wife and "The Newsboys" obviously weren't the acting highlights of the film, but were sufficient and minor. Will there be any objectionable content in the film? No. The film's content is presented fairly and while I certainly could pick out some things that skeptics might cry foul on, overall the film delivers. Will they share the gospel in the movie? They did and it was very clear. Did you see it? Tell us what you thought in the comments! "In an age in which infidelity abounds, do we observe parents carefully instructing their children in the principles of faith which they profess? Or do they furnish their children with arguments for the defense of that faith? ...it is not surprising to see them abandon a position which they are unable to defend." The following are notes I took from primarily from William Lane Craig's book On Guard and from a lecture by philosopher Garrett DeWeese on the problem of suffering. I believe they will prove helpful to the Christian Case Maker wanting to be better equipped to answer this often discussed objection. 1. Logical Version- tries to show that the coexistence of God and suffering is logically impossible. 2. Evidential Version- tries to show that the coexistence of God and suffering is highly improbable. Question to ask for clarification: “Are you saying that it’s impossible for God and the suffering in the world to both exist, or are you saying that it’s merely improbable that God and suffering both exist? Argument: God is all-loving and all-powerful. Therefore, He both can and wants to create a world without suffering. Therefore, it follows that the world has no suffering. But that contradicts 2, Suffering exists. Therefore, God must not exist. For this argument to work, both 3 and 4 have to be necessarily true. 3 - If God is all powerful, He can create any world He wants. Is that necessarily true? Well, not if it’s possible that people have free will! It’s logically impossible to make someone do something freely. That is as logically impossible as making a round square or a married bachelor. God’s being all-powerful does not mean that He can bring about the logically impossible- indeed, there is not such “thing” as the logically impossible. It’s just an inconsistent combination of words. Great point to make with an atheist: If the unbeliever insists that an all-powerful being can do the logically impossible, then the problem of suffering evaporates immediately, for then God can bring it about that He and suffering both exist, even though this is logically impossible! Since it’s possible that people have free will, it turns out that 3 is not necessarily true. For if people have free will, they may refuse to do what God desires. So there will be any number of possible worlds that God cannot create because the people in them wouldn't cooperate with God’s desires. If fact, for all we know, it’s possible that in any world of free persons with as much good as this world, there would also be as much suffering. Conclusion: This inference need not be true or even probable, but so long as it’s even logically possible, it shows that it is not necessarily true that God can create any world that He wants. 4- If God is all-loving, He prefers a world without suffering. - God could have overriding reasons for allowing the suffering in the world. 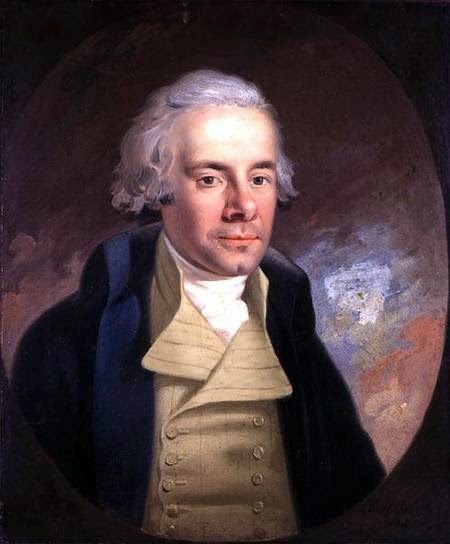 - Some goods, for example, moral virtues, can be achieved only through the free cooperation of people. - It may be the case that a world with suffering is, on balance, better overall than a world with no suffering. In any case, it is at least possible, and that is sufficient to defeat the atheist’s claim that 4 is necessarily true. Push the argument further: You can demonstrate that God and suffering are logically consistent. All we have to do is come up with a statement that is consistent with God’s existence and entails that suffering exists. It may well be that a world with as much good as the actual world, but with less suffering, wasn't an option. If statement 5 is even possibility true, it shows that it’s possible God and suffering both exist. Surely, 5 is possibly true. About the argument: This argument is always based on probabilities. For example, one may claim that because of all the suffering in the world, God’s existence is unlikely. a. Human Limitations- We’re not in a position to say that it’s improbable that God lacks good reasons for permitting the suffering in the world. As finite persons, we’re limited in space and time, in intelligence and insight. God sees the end of history from its beginning and providentially orders history to His ends through people’s free decisions and actions. In order achieve his purposes God may have to allow a great deal of suffering along the way. Suffering that appears pointless within our limited framework may be seen to have been justly permitted by God within His wider framework. This is not to appeal to mystery but rather to point to our inherent limitations, which make it impossible for us to say, when confronted with some example of suffering, that God probably has no good reason for permitting it to occur. b. The Full Scope of the Evidence- Relative to the full scope of the evidence, God’s existence is probable. - We have stronger reasons to believe God exists than we have to accept that the amount evil successfully calls His existence into question. Since the Evidential argument is only probabilistic, we are rationally justified in concluding God does exist. - Evil is evidence for God’s existence. 3. Therefore, objective moral values exists (some things are evil). Conclusion: The unbeliever may conclude that God’s existence is improbable relative to the suffering in the world alone but point out that this is just outweighed by the arguments for God’s existence. c. Suffering Makes More Sense under Christian Doctrine- Christianity entails doctrines that increase the probability of the coexistence of God and suffering. If the Christian God exists, then it’s not so improbable that suffering should also exist. It actually turns out that the problem of suffering is easier to deal with given the Christian God rather than some bare-boned concept of God. We are not God’s pets, and the goal of human life is not happiness, but the knowledge of God- which in the end will bring true and everlasting human fulfillment. Much of the suffering in life may be utterly pointless with respect to the goal of producing human happiness; but it may not be pointless with respect to producing a deeper knowledge of God. Because God’s ultimate goal for humanity is the knowledge of Himself-which alone can bring eternal happiness to people-history cannot be seen in its true perspective apart from the kingdom of God. Mankind is in a state of rebellion against God and His purpose. God’s purpose is not restricted to this life but spills over beyond the grave into eternal life. The length of our finite lives are literally but a vapor in comparison with the eternal life we’ll spend with God. The longer we spend in eternity, the more the sufferings of this life will seem insignificant. 2 Cor. 4:16-18- Paul imagines a scale in which all the suffering of this life is placed on one side, while on the other side is placed the glory that God will bestow upon His children in heaven. And the weight of glory is so great that it is beyond comparison with the suffering. a. People think their problem is intellectual so by working through it with them we can respect their opinion and help them see the real issue. b. The answers to the intellectual problems can be very helpful when God asks you to suffer through something. - Many times, words don’t help. Just silence, presence, and sharing tears. - Understand that the God who is allowing the suffering had the guts to take His own medicine. In other words, look to the cross. - Encourage, don’t tear down. - Be sensitive when quoting Bible verses. Footnote: 1. Notes taken from William Lane Craig’s On Guard, Chapter 7: What about Suffering?, p. 147-173. In these 3 videos by Come Reason Ministries author and speaker Greg Koukl from Stand to Reason addresses the issue of homosexual marriage. As the video descriptions explain, Part I of the talk will provide you with effective arguments in defense of biblical marriage and answers to the objections of critics. In Part II Greg offers thoughtful arguments from a secular perspective as to why homosexual marriage policies are more harmful than helpful. Part III features a Q and A with Mr. Koukl. The Cosmological Argument for God's existence is powerful and worth mastering. It provides persuasive evidence that God does indeed existent. J. Warner Wallace has been sharing some excellent posts on his blog about this argument and it would be wise for Christian Case Makers to take the time to read each post and master the content therein. 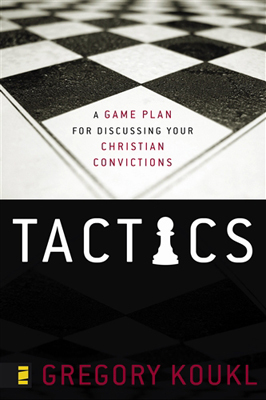 The posts serve as an excellent primer for those wanting to fully understand the argument. 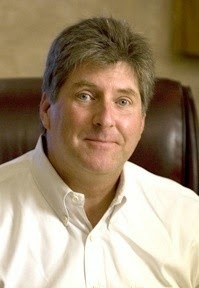 Moreover, Jim's writing is always easy to understand and practical. 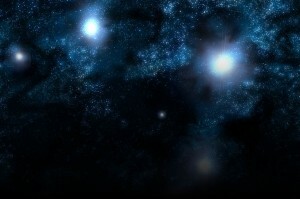 Is There a Way to Avoid the Beginning of the Universe? Does the Bible Confirm the Standard Cosmological Model? My suggestion to readers is to take a week or two (or longer) and learn the content in these posts. If you do so I believe you will be armed with a powerful argument in the cumulative case for God's existence. No translation is ever final. Because translators are human beings, there will always be room for improvements of translations. No translator can transcend his own time. He can only work in light of the knowledge of his day, with materials available to him, and put his translation in words spoken by his generation. 1. Inadequate textual base. Many important manuscripts were not available to the translators of the King James; especially with the Greek text of the New Testament. The Vatican, the Sinaitic, and the Alexandrian Manuscripts, three of the most valuable authorities to the New Testament text, were not accessible to the translators. 2. Use of archaic words with obscure or misleading meanings. For example, the word “allege” was used for “prove,” “communicate” for “share,” “suffer” for “allow,” and “prevent” for “precede.” Additionally, grammar usage is different. “Which” being used for “who” is an example. 3. Errors of translation. During the seventeenth century Greek and Hebrew scholarship had only recently begun to be seriously studied in Western European universities. For this reason, some of the renderings of the King James were inaccurate. “Abstain from all appearance of evil” as opposed to the better rendering, “Abstain from every form of evil” is an example from 1 Thessalonians 5:22. Due to the weaknesses above and others, a motion to consider a revision to the King James was passed by the Convocation of the Province of Canterbury in February 1870. Two English committees (one for the New Testament and one for the Old Testament) were formed and then two American committees in the same structure were formed later. On May 17, 1881 the New Testament revision was released with the Old Testament revision coming four years later on May 19, 1885. This revision is known in America as the English Revised Version. Disagreements between the English and American committees over idiom and spelling resulted in the English Revised Version being released with an appendix indicating the American preferences and the American Standard Version being issued in 1901. Lightfoot then focuses on the American Standard Version. He writes that it has a better textual base, more accurate translation renderings, and clears up many of the archaisms of the King James. However, it did not remove all of the archaisms and actually added some so that it, as Lightfoot puts it, “lost the “naturalness and beauty of English style” of the King James. However, both the English Revised and American Standard surpassed the King James. A committee of scholars was appointed in 1929 to begin another revision, but due to the depression and World War II the first edition of the New Testament revision did not appear until February 11, 1946 and the complete Bible on September 30, 1952. The Revised Standard Version developed for three reasons: 1) the recognition of the flaws of the King James, 2) the inability of the English and American revisions to overcome these flaws, and 3) the discovery of new knowledge materials. The Revised Standard benefitted greatly from the work of Westcott and Hort and Biblical and secular papyri discoveries in that its renderings are more precise. However, there are still places in which its renderings are lacking. Additionally, the Revised Standard was more readable than prior translations. Work began on a revision to the Revised Standard Version in 1974. The goal of the committee was to improve the Revised Standard by 1) changing some of its paragraph structure and punctuation, 2) removing even more archaisms, 3) seeking greater accuracy and clarity, and 4) removing all masculine language when references to both men and women are made. The New Revised Standard Version was published in 1990 and it preserved the qualities of the Revised Standard Version while at the same time removed words such as “thee” and “thou” and brought a more contemporary understanding. Lightfoot provides “their sinful desires alienate them from Christ” instead of “they grow wanton against Christ” and “manage their households” as opposed to “rule their households” in 1 Timothy 5 as examples. Once again, however, there are places in which this version does not have clear renderings. 2. The New American Standard Bible. This was a revision to the American Standard sponsored by the Lockman Foundation. The New Testament was published in 1963 and the Old Testament in 1971. The objective of the Lockman Foundation was to preserve the 1901 American Standard in contemporary form; however it is not a modern version of the American Standard Version. Much of the older language is taken out and there are other improvements yet it sought to be precise in the distinctions in tenses of verbs and often this is not applied correctly and consistently. 3. The New International Version. Published in 1973 (New Testament) and 1978 (Old Testament), this version has been widely accepted when compared with the more recent translations. Lightfoot writes that it is useful for many readers; however it is not the “standard par excellence” of recent translations. He states that it is accurate, yet often it lacks quality in style. 4. The Revised English Bible. This is a revision to the New English New Testament released in 1989. It took out many of the non-American expressions. From the beginning of the twentieth century on, there has been a surge of new translations. All of them have their faults, but some of them are especially good and can be of great help to the Bible reader. Among these are the Revised Standard Version, the New International Version, and the New Revised Standard Version. Other recent translations, too, are of much value to varying degrees. He then goes on to instruct that the Bible student carefully study and compare Scripture using various translations to decide which is most useful for him or her while at the same time recognizing the value of all the translations. This morning J. Warner Wallace tweeted this post from Pastor Matt's blog regarding the news that Becky Groothuis, wife of apologist and philosopher Doug Groothuis, has suffered numerous health problems and is now battling early dementia. She requires 24 hour care and this is not covered by their insurance. I know from experience that this is very expensive. This past May my Dad lost his battle with early dementia and so this news hits close to home. As Pastor Matt reports, Brett Kunkle posted on Facebook that a fundraising site has been set up to help Dr. Groothuis and his wife. You can donate here. I ask that you prayerfully consider donating. Further, keep them in your prayers. Thank you. For those who were there and providentially made it out safely, the sense of relief and yet the horror of having been so close to injury or death must take a long time to deal with. For those whose pilgrimage turned into tragedy, in either injury to self or in the death of a loved one, the pain will remain. I watched a video clip of a few pilgrims who made it to what appeared a safe place overlooking a deep waterfall only to be washed away by the rushing waters moments later in full view of others. I had not envisaged the end of the video and may have spared myself of the agony had I known. Tears stream down my face as I write. At moments like this, the worldviews don’t divide us. The pain unites us. That group of individuals could have been my loved ones in another circumstance. There is something about another’s pain that rattles our insides. As I bow to pray for mercy, I realize that I am far removed from the circumstances of my fellow citizens who have been hurt, injured, traumatized, and bereaved. Yet, I know can pray. I can cry. I can feel the pain. This is no picture postcard world. As I write, there are images from Syria, Egypt, and other parts of the world that remind us that it is a volatile world of brokenness. It is also troubling to note that while the vagaries of nature have wrought great harm in Uttarkand, the vagaries of humankind have brought great pain in other parts of our globe. As we think of circumstances like these, we are left with the two-fold challenge of seeking explanations and solutions. The naturalist will be quick to dismiss any notion of the divine. The faithful ones of various faiths will have their pick of explanations. For instance, I read of a survivor from Uttarkhand who believed that what happened there was on account of the wrath of the gods being unfolded on humanity’s careless wrecking of tress, minerals, and natural resources. Others may speak of fate that could not be escaped, that the story had been scripted thus and could only unfold as it did. Still others will struggle and seek solace rather than reason. To them no explanation will be appealing or comforting—and maybe the majority of those who had a personal tryst with the tragedy would come close to that position. The Christian worldview offers us a view that I dare say can be found nowhere else. It is one worldview which neither callously dismisses the pain on the one hand nor makes the sufferer stand alone in that pain. The Christian worldview presents us the view of a Perfect One who paid the price for the brokenness of an imperfect world. His goal in coming was not to say, “Here is my judgment,” it was rather to say, “I will take your judgment upon myself.” Like a fair judge who does not condone the magnitude of the crime committed but passes the sentence and then moments later offers to take the place of the condemned one, Jesus came to set us free. The stories from Uttarkhand will continue to haunt our national memory. The pain of those who made their pilgrimage even in the face of physical dangers will not be easily forgotten. But our prayer as God’s people can be that from the valleys and hills of such pain and memories, some would find their hope in lifting their eyes to another hill—the hill upon which a Savior died. A God who stands on the side of the broken. Arun Andrews is a member of the speaking team at Ravi Zacharias International Ministries in Bangalore, India. Reasons to Believe is coming to Hagerstown!